Click Create a Box Application. Think up a name for your application. For example, your site or application name. NOTE: All other boxes of the Scope section must be unmarked. At the bottom of the form, Click Save Application. 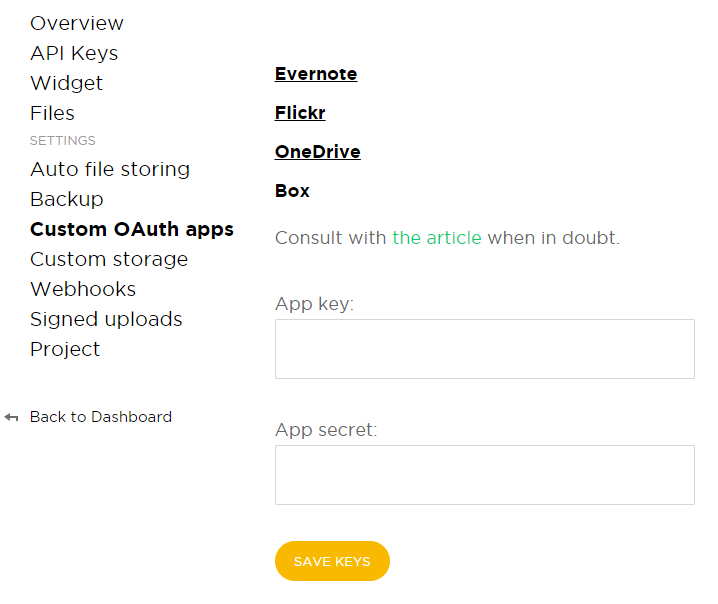 Got to Dashboard, open the Custom OAuth apps page, select Box and fill in the App key and App secret fields with the keys you got from Box. Click Save Keys.